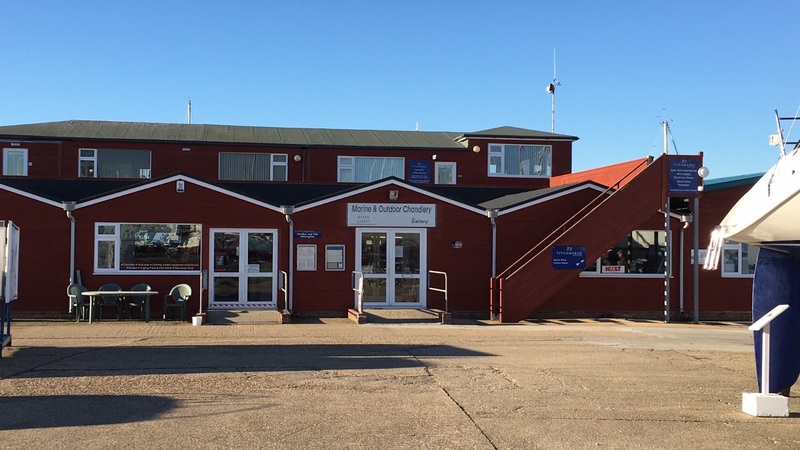 Welcome to Westwater Chandlery, your local yacht chandlers, cafe and art gallery based at Titchmarsh Marina, Walton-on-the-Naze, Essex CO14 8SL. We sell ropes and cord, fenders, deck hardware, anodes, shackles, blocks, winches, windlasses, hatches, vents, chains, anchors, electronic equipment, plumbing products, outboards, clothing, shoes, anti-foul paint, varnish, sealants, cleaning and maintainence products, tools, brushes and rollers, lifejackets, liferafts, charts, books, replacement canvas covers and sprayhoods, etc, etc. Lifejacket and liferaft servicing is also offered. We offer products from suppliers such as Holt, Imray, Marlow, Harris, International, Hempel, Seajet, Proboat, Gill, McDuff, Whale, Sika, Gorilla, West System, Bonda Marine, Plastic Padding, Bison, Loctite, Geocel, Ocean Safety, August Race, Orca Bay, Kru, Starbright, Quicksilver, Big Bear Supplies, Barton, Allen, NV Equipment, etc, etc. If we don't have what you require in stock, then we can usually promptly order it in - just let us know what you need and we will quote you our best price and tell you how quickly we can get it for you! We also have a second-hand corner with an ever changing selection of used boating items, often including used dinghies, tenders and outboards for sale on behalf of our customers. If you have something to sell, contact us - we can usually help! Fresh bread, filled rolls, sweet and savory pastries and milk are delivered daily and we stock a selection of food and drink, as well as personal and household essentials. There is fresh coffee and tea available in our cafe area at the back of the shop with views overlooking the marina. You can also browse around The Twizzle Gallery area within the shop which offers original art, jewelry, photographs and cards from local professional artists. Thank you for supporting your local independent small business!